Cultural Heritage is an area that presents a great variety of opportunities for MR applications. These opportunities include storytelling (a way for visitors to learn and retain more information about the exhibitions that they explore), gamified presence (an incentivizing tool to keep them attentive during their visit) and many more. Augmented Reality is an innovative technology that can be beneficial for the preservation of Cultural Heritage. A vast variety of applications can be created about the preservation of Cultural Heritage. Not all of them, though, use the concept of AR portals. An AR application with portals could be used to provide the users with the ability to travel through these virtual portals to different museums or monuments around the world and be able to explore them by walking in the real world while holding their device. Using Google’s ARCore, applications with such elements could contribute a lot to the preservation of Cultural Heritage. In this work, an innovative way of using Augmented Reality for the preservation of Cultural Heritage is presented, in which the concept of “Portals” is introduced. Google’s ARCore was used for this kind of applications, which run on mobile devices that support ARCore . 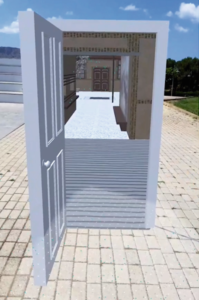 A virtual portal can be used in AR applications, which can lead the users to different worlds. The content of these worlds is up to the developer of the application, but in this specific case, it could be either a museum or a monument. The virtual portal could be placed on a flat surface in the real world by the users. When they look inside the portal, they will be able to see a part of the virtual world that is located behind it. Moreover, if they walk through the portal, they will be transferred to the virtual world and will be able to explore it by moving in the real world, while holding their device. 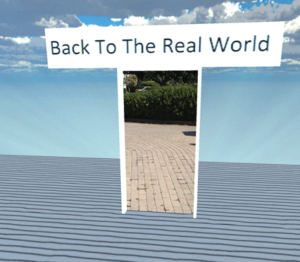 Finally, by walking through the portal again, by facing in the opposite direction, they will be able to leave the virtual world and return to the real world. 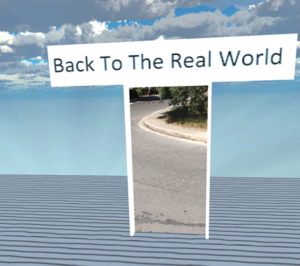 An Augmented Reality application, which uses portals, usually starts by scanning the real world for flat surfaces. The application detects planes in the real word using the built-in camera of the device, giving the end user the ability to place the portal. Usually this can be done by touching the area of one of the detected planes. The portal will be placed on the selected flat surface. By moving through the portal the users can access the virtual world whether it is a museum or a monument. Consequently, the user is able to explore it while differentiating it from the real world, thus conveying a sense of realism at the same time. In this case study, we presented the concept of portals in Augmented Reality and how they can be used in order to contribute to the preservation of Cultural Heritage. The main concept of such applications was presented and an example was shown using Google’s ARCore. 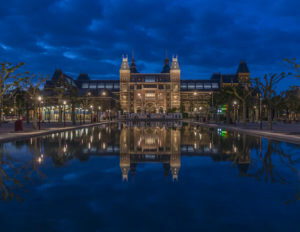 The benefits of the use of portals in an Augmented Reality application are that the users will be able to virtually visit many different museums/monuments from a single application (that could possibly be using many portals) and explore them by walking in the real world and holding their device, making them feel that they are really in the same area as the museum/monument. The combination of the concept of portals with the Storytelling, Presence and Gamification fields  is expected to create the perfect experience for the visitors of Virtual Museums.